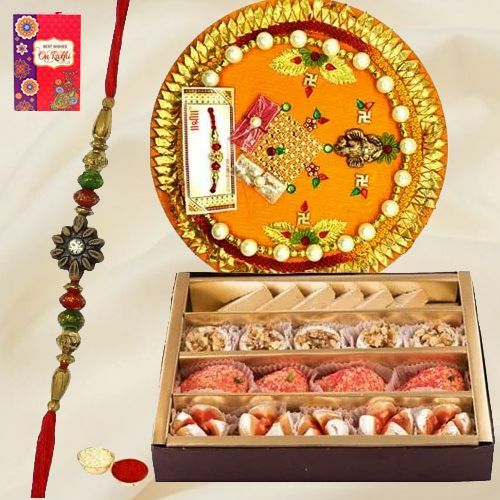 This Raksha Bandhan, send your prayers and blessings to your loved ones with this Tasty Haldiram Mixed Sweets and Designer Rakhi Thali embellished with a Rakhi, Roli Tilak and Chawal free of cost. This Hamper is stuffed with assorted Haldiram Sweets 250 gm. and a 7-8 inch. Rakhi Thali.